We use your personal information to help us efficiently perform transactions on the Site, to deliver the services you have requested, to contact you when necessary in connection with events for which you purchased tickets on the Site (including event confirmations, changes and cancellations), and to send you information, offers and other promotional materials from Jason-Aldean-Concerts.com. We carefully select the information we send to you and attempt to send you offers that are of value to you, such as discounts, exclusive offers or special event information. The Site provides you with the option of declining to receive offers from (Jason-Aldean-Concerts.com) by "opting-out" of receiving this type of communication. To process transactions on the Site, we may share your personal information with our agents, representatives, contractors and service providers so they can provide us with support services such as authorization of credit card transactions, order fulfillment and sweepstakes and promotional fulfillment. We require these entities not to use your information for any other purpose. By purchasing, or making reservations for, products or services, electing to receive communications (such as emails) or electing to participate in contests or sweepstakes, your personal information may be passed on to a third party in the event of a transfer of ownership or assets, or a bankruptcy of Jason-Aldean-Concerts.com. We may also disclose specific information when we determine that such disclosure is necessary to comply with law, to cooperate with law enforcement or to protect the interests or safety of Jason-Aldean-Concerts.com. We use your financial information to check your qualifications, to bill you for products and services and to enable you to participate in discount, rebates and similar programs in which you may elect to participate. 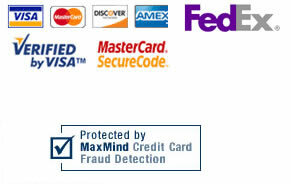 By making a purchase, or engaging in any other kind of activity that uses financial information on the Site, you consent to our providing your financial information to our service providers and to such third parties as we determine necessary to process your transactions, as well as to your credit card issuer for their purposes. These third parties may include the credit card companies and banking institutions used to process the transaction. By participating in programs offered on the Site that are administered by third parties or that require you to submit financial information in order to use them, you also consent to our providing your financial information to those third parties. Any of these various third parties are authorized to use your financial information in accordance with our contractual arrangements with such third parties and in accordance with their own privacy policies, over which we have no control. We use demographic information to tailor the Site and communications to the interests of our users. Your demographic information is used on a non-anonymous basis. This information will help us bring you offers relevant to your location and sports interests. The Site has security measures in place to protect against the loss, misuse and alteration of the information under our control. Our secure server software (SSL) is the industry standard and among the best software available today for secure commerce transactions. We encrypt all of your personal and financial information as it travels over the Internet and we store your financial information on our servers in encrypted form. Your information may be transferred to and maintained on computer networks which may be located outside of the state, province, country or other governmental jurisdiction in which you reside, and the country or jurisdiction in which these computer networks are located may not have privacy laws as protective as the laws in your country or jurisdiction. Our security provider is GeoTrust. Tickettransaction.com is scanned daily by ControlScan to guarantee that our site is protected and safe against online intrusions. Order now, and get a 5% discount off ANY purchase in April! Just browse our extensive inventory of Jason Aldean tickets, choose your seats, & enter the promo code below at checkout.